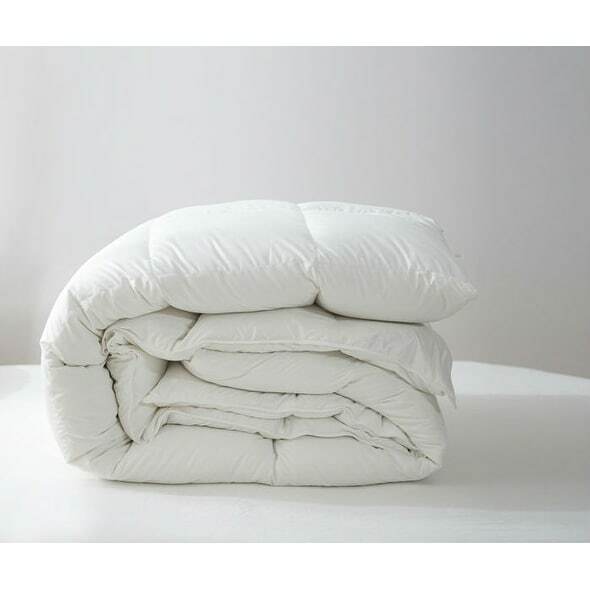 This fluffy comforter is the softest and most comfy comforter you'll find. 233 Thread Count, 100% Combed Cotton Shell, with Germany cotton piping. Square Baffle Box Constrution, with corner loops, easy to attach to duvet cover. Filled with European White Duck Down, Canadian Standard. 625 Fill Power. Anti-microbial treatment. 3 level of filled with down will provide year round, all season comfort. Twin Ducks Inc. is a proud and active member of the Down Association of Canada ( DAC). DAC is a non-profit organization that focuses on maintaining quality standards for feather and down filled products. Our products carry the DAC quality assurance tag so you can be confident that the down inside is the most responsibly sourced down in the market. Also you will get the best packaging because we believe the best quality duvet deserves the best packaging available. Dimensions 90.0 In. X 88.0 In. Needed a new down comforter. Loved the info provided for this one.